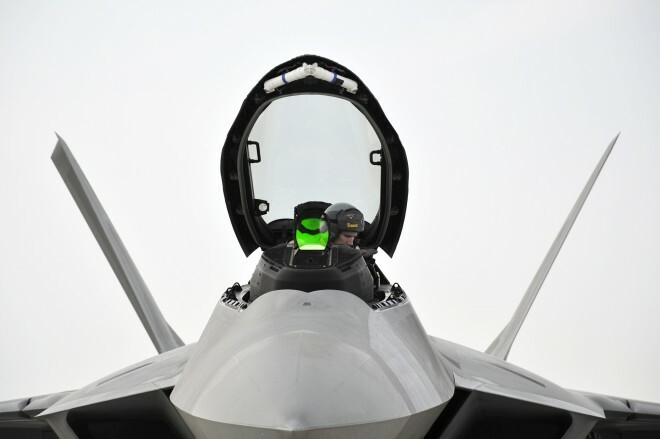 The U.S. has busted up a plot to smuggle tons of carbon fiber to China, where the material would ostensibly be used in the construction of new fighter planes. That might seem worrying, but if the allegations are true, it’s probably a comforting sign. That’s because if Beijing needs to illegally import the ultra-tough polymers from America, that means we don’t have to worry too much about China’s upgraded air force. But federal prosecutors allege Zhang was the mastermind behind the plot to illegally export $4 million worth of the military-grade material. Prosecutors also allege Zhang told undercover agents the material would be used for an upcoming Oct. 5 test flight of a “new Chinese fighter jet.” If convicted, Zhang faces up to 20 years in prison. Aerospace-grade carbon fiber isn’t just simple plastic. It’s a specialized — and expensive — polymer used in nuclear plants and to build the fuselages of military aircraft like the F-22 Raptor stealth fighter. $4 million would buy about two tons’ worth of M60JB carbon fiber, the type prosecutors allege Zhang sought to acquire. And as Zhang is likely now well aware, the U.S. government is not pleased when people attempt to export the material without a license. But the case doesn’t just involve Zhang. According to the complaint, the plot began on April 25 when two of Zhang’s unnamed accomplices — who have not been charged with a crime and are listed in the criminal complaint as only “John Doe” and “Jane Doe” — contacted from Taiwan a representative of a company they believed dealt with “commodities with aerospace and military applications.” In reality, the company was a front business controlled by Homeland Security Investigations (HSI), the investigatory arm of the U.S. Immigration and Customs Enforcement agency. The company representative wasn’t a commodities trader, either, but an undercover agent. During an April teleconference, the buyers told the agent they wanted to ship “multiple tons of carbon fiber” from the U.S. to China through a third country in order to skip having to acquire an export license, and that acquiring the carbon fiber was “problematic” because it was related to a “military matter.” When the offer to use a middleman was rebuffed, the buyers asked if the carbon fiber could be mislabeled as something else, thereby sneaking past federal authorities. The agent told the buyers that what they were doing was quite illegal. But shortly thereafter, the undercover agent decided to play along. On May 8, John and Jane Doe wired $1,000 to a bank account provided by the agent, and traveled to the U.S. in July to meet with the agent at a hotel room, where they were provided with a sample of M60JB. The complaint doesn’t state whether the author was Zhang. But the next day, Zhang and John Doe spoke over the phone and talked about difficulties getting carbon fiber from Japan, and Doe mentioned he found a new seller in America. A second undercover agent then contacted Zhang, who told the agent the carbon fiber was for a “fighter plane,” and arranged to travel to the U.S. earlier in September, where he was arrested. Now let’s assume all of this is true — that Zhang did attempt to buy polymers headed into China’s defense and aerospace industry. If so, it doesn’t reflect well on Beijing’s air force. U.S. defense officials worry about China’s stealth fighters like the J-20 or the recently unveiled J-21. But if China has trouble even acquiring the polymers to build fighter jet fuselages — let alone the sophisticated electronic gear needed for a fully modern fighter – then they probably don’t need to worry that much. It’s pretty difficult to manufacture the jets without the basic, necessary plastics. If China is resorting to smuggling the stuff, then it’s going to be a long, long time before its airpower can challenge America’s.